﻿ 30th of August in The Council Hall of Moscow's Cathedral of Christ the Saviour. 30th of August in The Council Hall of Moscow's Cathedral of Christ the Saviour. We are glad to announce the program that the "TenorS of the XXI century" art-project will present on the 30th of August in The Council Hall of Moscow's Cathedral of Christ the Saviour. 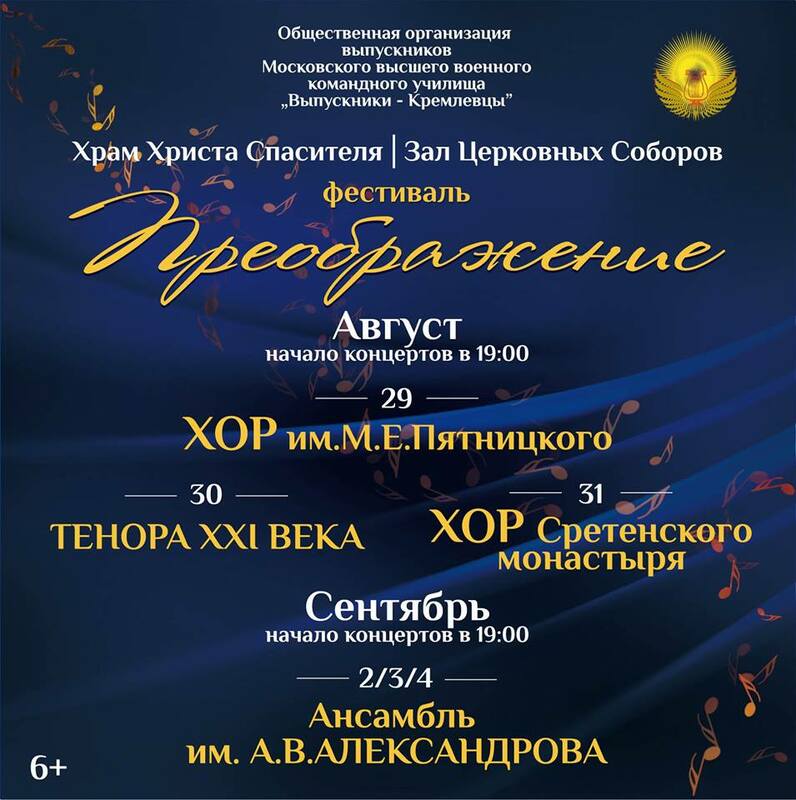 Together with the instrumental group, we will perform "The favorite songs of our youth" - songs by Pakhmutova, Babajanyan, Zatsepin, Shainsky, Gladkov etc. The concert will take place in the frames of the "Preobrazhenie" Festival.